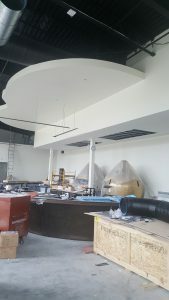 UPDATE: “HARD AT WORK” is an understatement when it comes to the NEW MidiCi the Neapolitan Pizza Company located in The Avenues at White Marsh. Our trades are starting their trim outs and in the next few weeks we will really see this space come alive! To see older posts, click here.